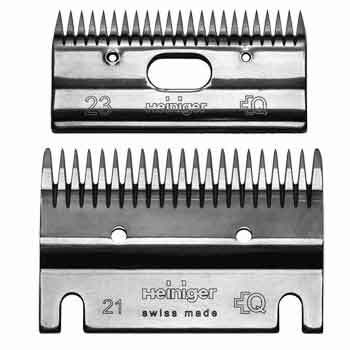 This is a sharpening service for the larger comb & cutter type of horse or cattle clipper blades eg Heiniger Clipper Blades. To sharpen them we use a precision lapping machine with a 0.178mm convex curviture that uses an aluminium oxide / oil mix so it's no wonder our success rate is 99%. Other (and considerably cheaper) machines grind blades on a wheel and their success rate can be below 80%. You can see how we sharpen them in more detail here and there's a video at the bottom of the page. Just enter how many blade sets you are to send to us & complete the checkout procedure. 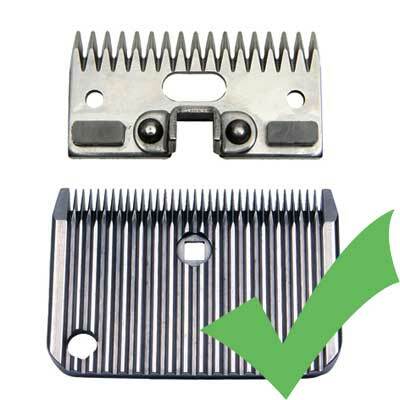 One set comprises of the upper cutter and the lower comb. We will send them back as soon as they are done via 24hr or 48hr carriage depending on the delivery option selected at checkout. Normally 1 or 2 sets will be sent by Royal Mail Signed For but more sets may be sent by courier depending on the weight . We aim to have the blades sharpened and sent back out within a couple of days but this may be longer during busy periods. When sending them in, please print off & enclose a copy of your order receipt or Paypal receipt that will be emailed to you just after the checkout proceedure has been completed. If you don't have a printer then just enclose a note of who you are, your order number and the date of purchasing the service and we can print your order off here. This just lets us know who you are and that the blades sent in match the blades paid for. Please package the blades up so they won't slide around in the envelope. A lot of people use the order conformation form as the padding which is fine. We always advise sending the blades by recorded delivery as we cannot be responsible for items lost in the post. 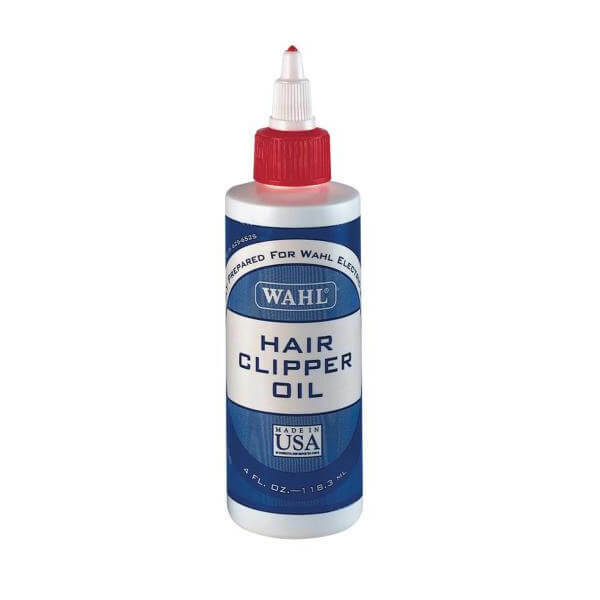 NB We CANNOT sharpen blades from smaller clippers that use the 'snap-on blades' like Wahl Avalon blade or similar. 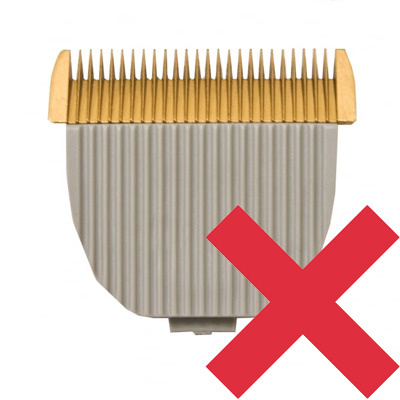 Please Note: Blade sharpening is not intended to be sold as a 'voucher' for future use. 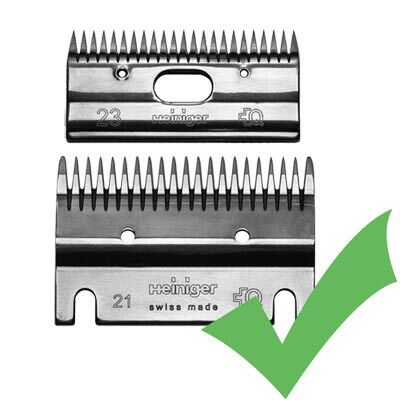 Please only purchase blade sharpening for items that you intend to send in to us at the time. 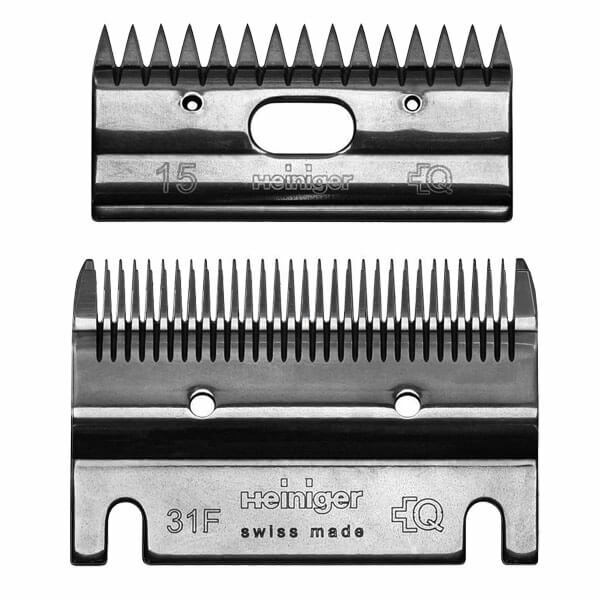 If any other items are bought at the same time we will hold the order back until your blades have arrived and sharpening completed. After they have been sharpened, your blades will be returned via Royal Mail on either a 1st Class Signed For / Tracked 24 service or Tracked 48 service (2/3 days). Should several postal items be bought we may send via courier depending on the weight or value. Please see here for further information on delivery costs and dispatch & delivery times. Order cut off time for next working day delivery is 2pm.